Russian Defense Minister Sergei Shoigu said that Russia, Turkey and Iran support the adoption of the declaration on the immediate steps to promote the settlement of the Syrian crisis. 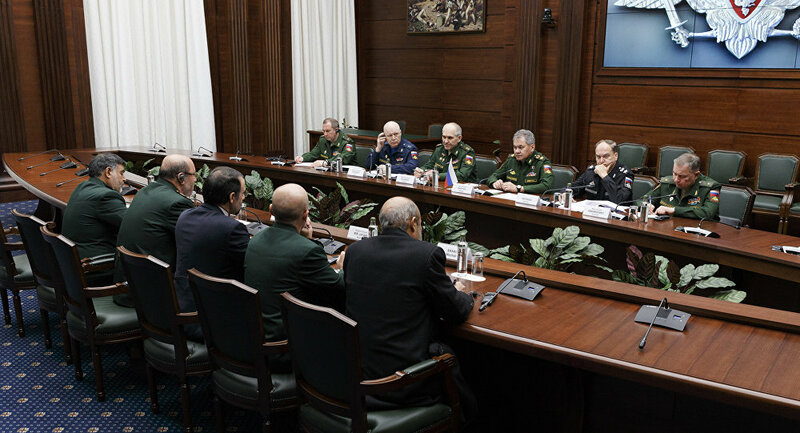 MOSCOW (Sputnik) — Russia, Turkey and Iran are ready to act as guarantors of the Syrian crisis resolution as experts draft the text of the Moscow Declaration on the subject, Russian Defense Minister Sergei Shoigu said Tuesday. "Today, experts are working on the text of the Moscow Declaration on the immediate steps to promote the settlement of the Syrian crisis. This is a solid, very needed document," Shoigu said alongside Iranian counterpart Brig. Gen. Hossein Dehghan. He underscored that the signing of the declaration by the defense and foreign ministers of the three countries "stipulates our readiness to act as guarantors and to jointly serve urgent issues of the Syrian settlement." "Thus, we support the adoption of this declaration," Shoigu stressed.